Coffee is serious business and seriously competitive. 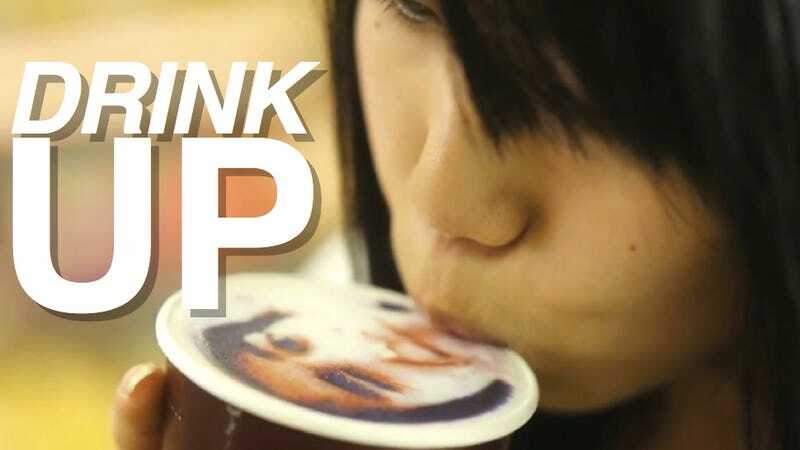 Let's Cafe, a small coffee kiosk in Family Mart convenience stores across Taiwan, thinks it has figured a way to stand out: By printing people's faces on coffee. How's it work? Customers upload photos to the Let's Cafe machine, which is outfitted with a printer that "prints" (sprinkles, really) the images on a hot cup of java. In the video below (via PSFK and New Launches), you can watch a quick explanation of how the contraption works. And if you are interested, here is a good rundown of convenience stores in Taiwan. Previously, Kotaku introduced realistic coffee art in color and 3D.